Jessa completed her M.S. at the University of New Hampshire, while conducting her research based out of the Southwestern Research Station in Portal, AZ. This area is in the Chiricahua Mountain range, which is a unique high elevation habitat that is surrounded by open desert. 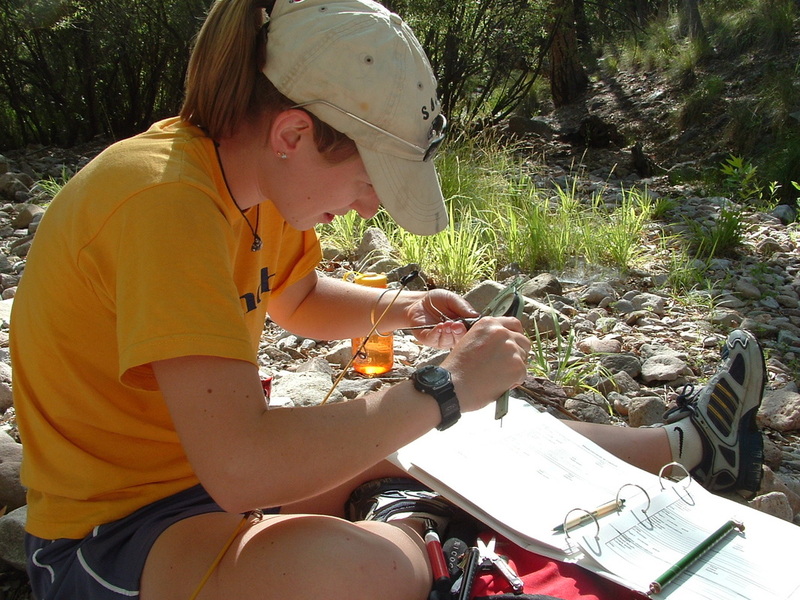 Her master’s research covered diet, feeding behavior, and activity budgets for two species of spiny lizard, Scleoporus jarrovi (Yarrow’s Spiny Lizard) and Sceloporus virgatus (Striped Plateau Lizard). Currently, Jessa's research involves museum studies, assisting Herpetology Curator Dr. Siler with new species descriptions (i.e. Brachymeles), leading Oklahoma field surveys to sample for infectious diseases and environmental DNA, international iguana conservation, and supervising undergraduate researchers on their own projects.